In the last decade, the familiar problem of the regress of reasons has returned to prominent consideration in epistemology. And with the return of the problem, evaluation of the options available for its solution is begun anew. Reason's regress problem, roughly put, is that if one has good reasons to believe something, one must have good reason to hold those reasons are good. And for those reasons, one must have further reasons to hold they are good, and so a regress of reasons looms. 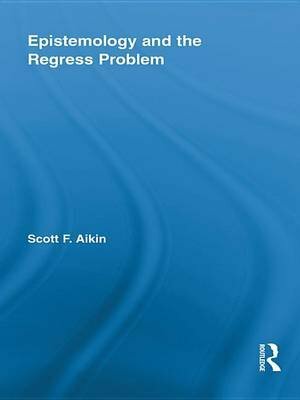 In this new study, Aikin presents a full case for infinitism as a response to the problem of the regress of reasons. Infinitism is the view that one must have a non-terminating chain of reasons in order to be justified. The most defensible form of infinitism, he argues, is that of a mixed theory - that is, epistemic infinitism must be consistent with and integrate other solutions to the regress problem.